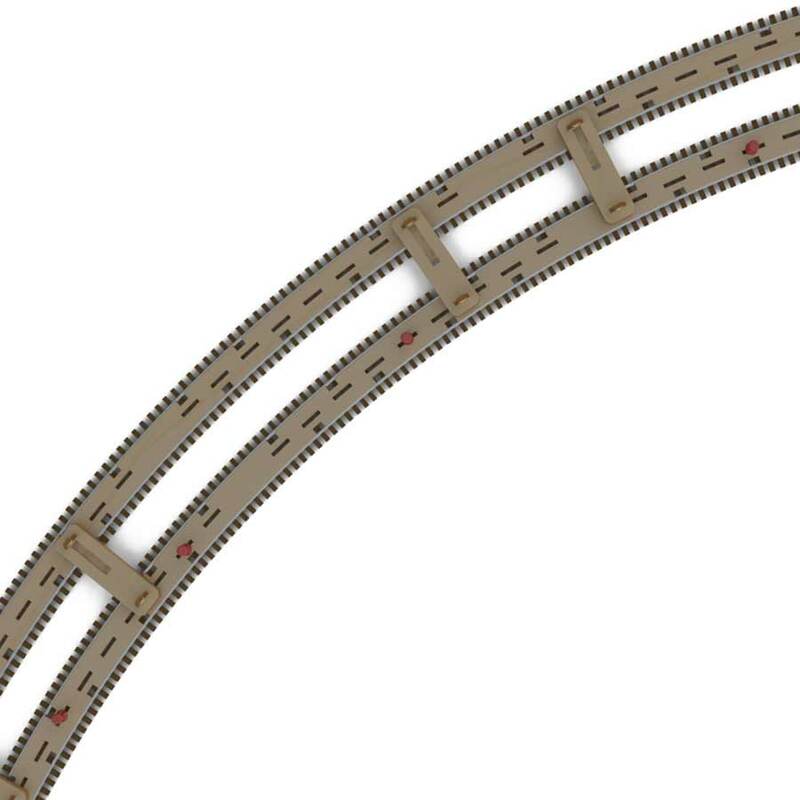 Use our SpaceGage tool to correctly align lengths of straight and curved parallel track. Designed for use with our SweepSticks track forming tool, the SpaceGage will hold lengths of SweepSticks precisely spaced apart to aid in maintaining track centers while laying flextrack. Precise - SpaceGage tools will set track centers perfectly, every time! Inexpensive - Available in packs of three. 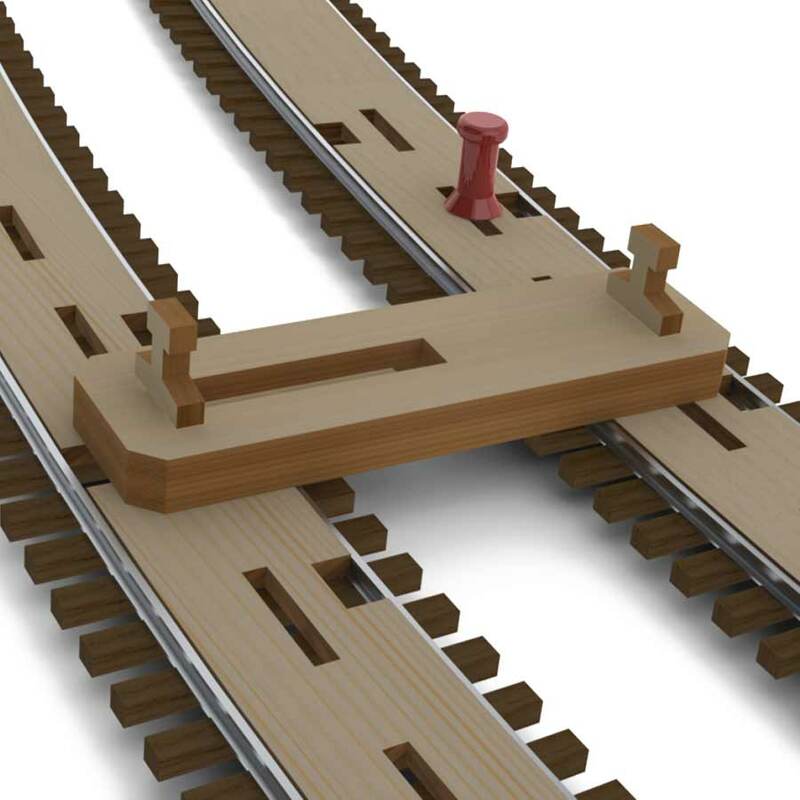 Purchase many, the more you have available, the easier it is to maintain your track spacing standards. 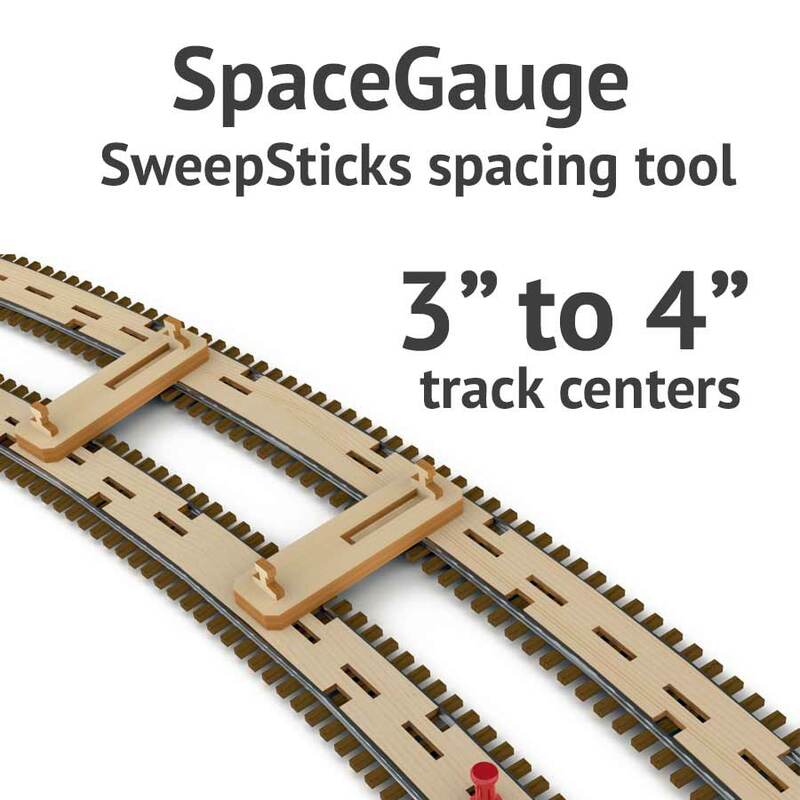 A companion tool for SweepSticks, the SpaceGage is an easy to use tool to set the center to center spacing between lengths of parallel track. Easy to assemble and adjust to any spacing desired. Once set, the upper and lower halves are permanently glued together to produce a robust gage that can be used over and over again. Sold in kit form. Each kit will produce 3 SpaceGage tools.